I have been honored to be a keynote speaker at some of the most prestigious events in the world such as Inc. Magazine, The United Way, TEDx, SXSW, major universities and many more. Do you want to know a secret? I never pitched to any of these events! There are numerous gurus that teach you how to sell from the stage, speak for free, pay to play, and network until you get booked. I have tried most of these tricks, and the results are minimal - if any. However, women who aspire to increase their business by speaking on credible stages, continue to fall for these outdated methods that do not fully produce results. Everyday, literally, women fill my inbox with messages of frustration over the money they have invested in dead end courses and speaker training's, only to be booked at practice level events, where the planner is only worried about quantity, not quality. In addition, practice level events are priced low for a reason, which makes it difficult to quantify the audience you are speaking to. Have you ever had a moment where you recognized that everyone just wants a photo with you, instead of learning from you? ​It is a clear sign that you are at a practice-level event. I left that scene almost a decade ago after realizing my career and research will remain stagnant if I failed to get on credible stages. However, the art of getting the attention of planners for premium organizations will commence once they can read your work. Most bloggers and writers are so "passionate" about writing, that they forget to monetize their content and maximize the message. I used my blogs and articles to my benefit, and now, I command premium fees, interviews and opportunities, by using my platform(s) to get booked on high level and credible stages. 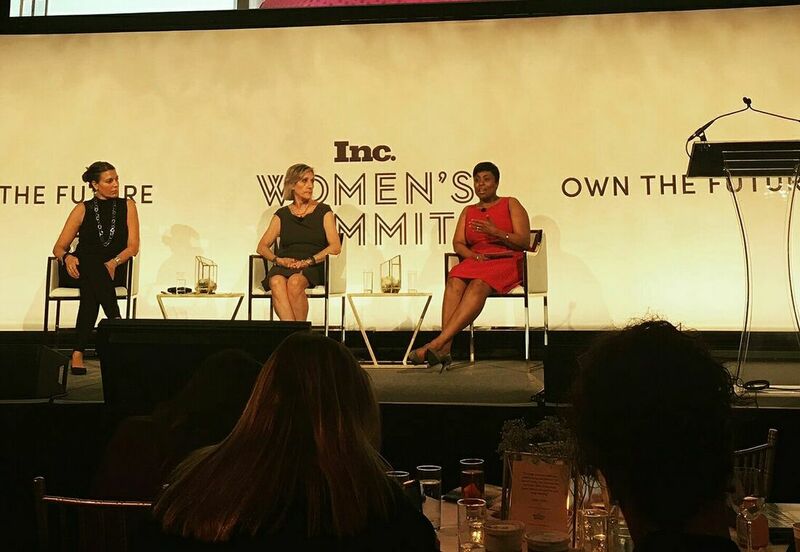 I am an advocate that we need more women on corporate stages, but you need a solid message. Today, I am a leadership contributor for Entrepreneur, Inc. Magazine and Thrive Global. In addition, my advice has been quoted and/or featured in several other established and reputable publications (click here to view). Using your blog and editorial pieces, even if you are not on such huge platforms, are necessary if you are committed to delivering keynote talks on credible stages. Corporate planners enjoy using your written work as a reference for their audience. ​If your blogs and articles are not expanding your reach and influence, it will become an expensive hobby. Maximize Your Message and Write Your Way To The Stage! LIVE, Virtual Training with Q&A & recording provided!